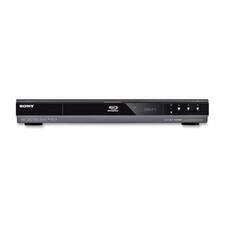 Sony DRU840A DVD-Writer - Black - DVD-RAM/±R/±RW Support - 48x CD Read/48x CD Write/32x CD Rewrite - 16x DVD Read/20x DVD Write/12x DVD Rewrite - Double-layer Media Supported - IDE Ultra ATA/33 (ATA-4) - 5.25"
ATAPI EIDE Internal DVD Recorder supports all DVD formats and incorporates 20X DVD+R recording speeds which deliver a full 4.7GB disk in about five minutes using standard 16X DVD+R media. Also records and reads all DVD and CD formats. Offers a 10G hard drive and 256MB RAM. Internal drive includes ATAPI/EIDE interface and a black replacement front bezel. Comes with Nero 7 Express software suite. Compatible with Windows XP and 2000. 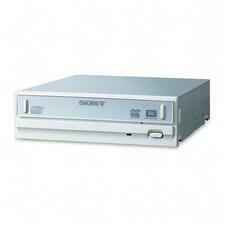 Sony DRU-830A DVD-Writer - DVD-RAM/±R/±RW Support - 48x CD Read/48x CD Write/32x CD Rewrite - 16x DVD Read/18x DVD Write/8x DVD Rewrite - Double-layer Media Supported - IDE Ultra ATA/33 (ATA-4) - 5.25"
Sony's DVP-FX810 8" Widescreen LCD boasts a rugged design with sophisticated features. 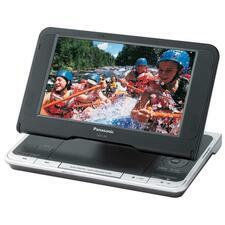 The swivel and flip screen offers multiple viewing angle options whether you are in a car, train or plane, or at the beach. Watch a regular full-length movie with its up to 5 1/2 hour battery capacity or plug in the supplied car adapter for extended viewing. 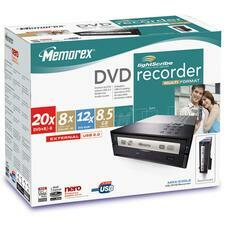 Memorex DVD-Writer - DVD-RAM/±R/±RW Support - 48x CD Read/48x CD Write/24x CD Rewrite - 16x DVD Read/20x DVD Write/8x DVD Rewrite - Double-layer Media Supported Memorex expands its double layer recorder line by introducing the 20x series of Double-Layer, Multi Format DVD recorders with LightScribe technology. Multi format capability takes the guesswork out of choosing the right discs. The double-layer feature allows for the creation of commercial quality DVDs with up to 8.5GB of data storage on one disc. 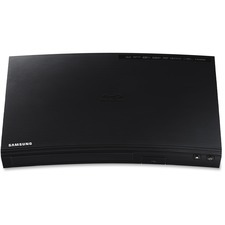 Enjoy wireless content sharing and streaming with this Blu-ray player featuring built-in Wi-Fi connectivity. Watch as your favorite characters practically leap off the screen when you pair this 3D Blu-ray player with a Samsung 3D TV and Active 3D glasses (sold separately). Smart technology turns any TV into the ultimate home entertainment hub with full access to all your favorite web and TV content. 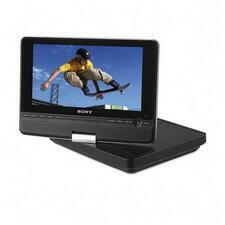 Screen mirroring allows you to beam your favorite mobile content onto your television. DTS surround processes stereo content to deliver an optimized surround sound experience with enhanced bass response, clear dialog, and consistent volume levels. Dolby True HD delivers near studio-quality HD audio with your home entertainment system. 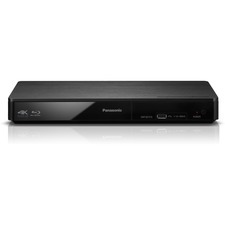 BDPS550 Blu-ray Disc Player delivers HD clarity and BD-Live compatibility (Profile 2.0) with 1GB local storage. Get bonus view feature of select Blu-ray movies and acquire the latest features and updates. This player outputs a full 1080/24p True Cinema picture and upscales your existing DVD collection to 1080p when using the HDMI connection. Dolby True HD/DTS-HD decoder gives you sound quality that matches the crystal clear image of Blu-ray disk and up to 7.1 channels of surround sound and audio that is indistinguishable from the original studio version. An icon-based Xcross Media Bar provides simple navigation of the menu system. Also features BRAVIA Sync, which goes beyond simple audio and video transmission. Combined with a select number of BRAVIA televisions and other Sony audio and video products, control functions will be transmitted via the HDMI cable. 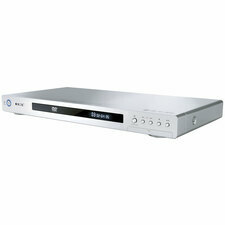 Blu-ray disk player offers backlit remote, Ethernet port for network update, USB port for BD-Live and external memory. 3D Blu-ray disc player features 4K upscaling to boost the already superb picture quality of your favorite Blu-ray movies to an entirely new level. A powerful processor not only analyzes and adjusts luminance and color, but also adds millions of extra pixels to boost clarity, detail and sharpness. External HDD playback through USB lets you directly access your content stored on external hard disk drives to view your favorite music, photos or video files in a variety of formats. Enjoy a world of online content with Internet apps (sold separately) to access a wide variety of sports, music, streaming services and more. Miracast uses Wi-Fi Direct technology to let you "mirror" your mobile device to your TV without a Wi-Fi access point. Or, stream high-resolution audio files over your wireless home network with sound quality that rivals the detail, range and clarity of original studio recordings, far surpassing that of a normal music CD.